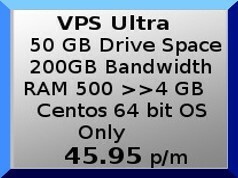 Our bargain VPS Mini is perfect for starting out or those requiring smaller sites. SolusVM A Powerful UI Based VPS Hosting Management Software. Free OS installs from your SolusVM Admin Center.